I’m trying to improve my modeling skills. 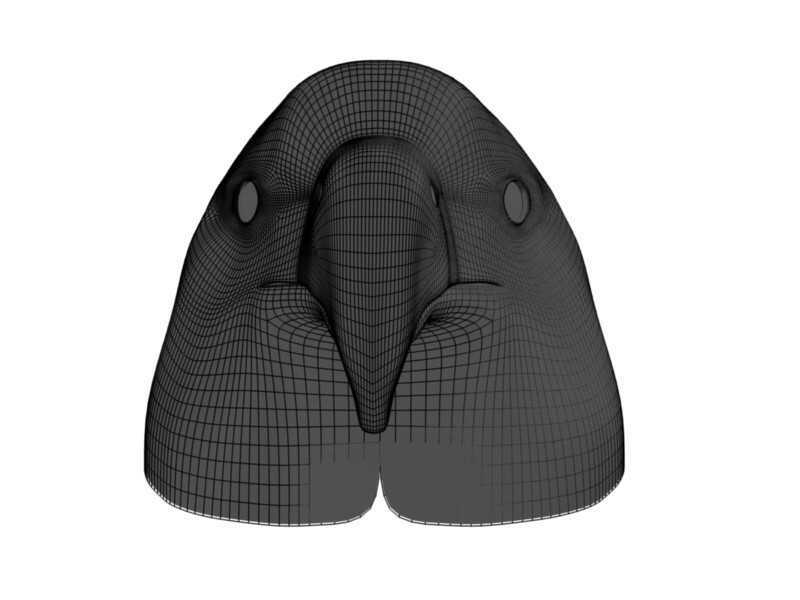 I’ve attached three wireframe renders and a normal render of a bird’s head. First and foremost, please point out any modeling faux pas. Second, let me know anything which looks odd. edit: If there is anything I can do to help you help me, please let me know…Attach the blend file…etc. There doesn’t happen to be any triangular faces on the mesh at all does there? If it is just going to be a model, it doesn’t really matter, but if you wanted to animate it later, I’ve gathered that triangular faces and animation don’t mix very well. Otherwise, I’d say it looks good. Of course, what do I know? There doesn’t happen to be any triangular faces on the mesh at all does there? looking at the pics, it looks like it’s clean. Only suggestion: move the mirror modifier above the subsurf modifer. The model isn’t necessarily intended for animation. There aren’t any triangular faces. However, I have a couple vertices with five edges coming out of them. If you look at the side view, they are near the corners of the eye socket. From the tuts I’ve gone through, it sounds like you want nice edge loops. I did that for the most part. 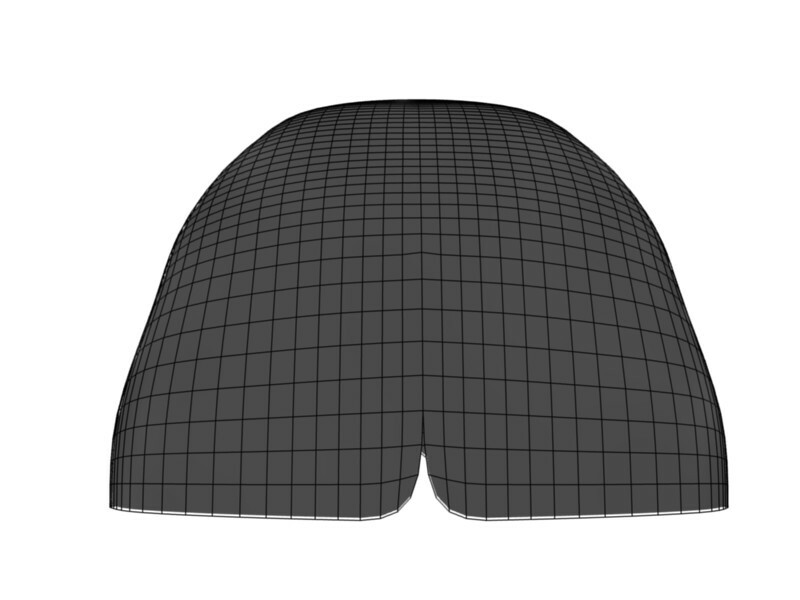 However the edge loops make some sharp turns around those vertices. I’m just not sure if that is a problem or it’s normal to have five edges coming out of a vertex. Thanks for the hint. I couldn’t for the life of me figure out what was happening with that. “poles” aren’t a problem per se. In fact, in most models you need some. It’s precisely the poles that let you change the topology to direct the loops to right direction. As far as I can tell, the mesh is clean. The mesh is a bit bumpy, is that intentional? [you can get rid of it with “smooth”. But I’m not sure if you have to smooth it.] It looks good as it is. Ahhh, poles. That’s exactly the kind of info I was looking for. Thanks. Bumpiness?..Around the beak and eyes, it is intentional. I was trying the mimic some bird pics I used as references. Around the head and other areas, I haven’t tweaked it enough. 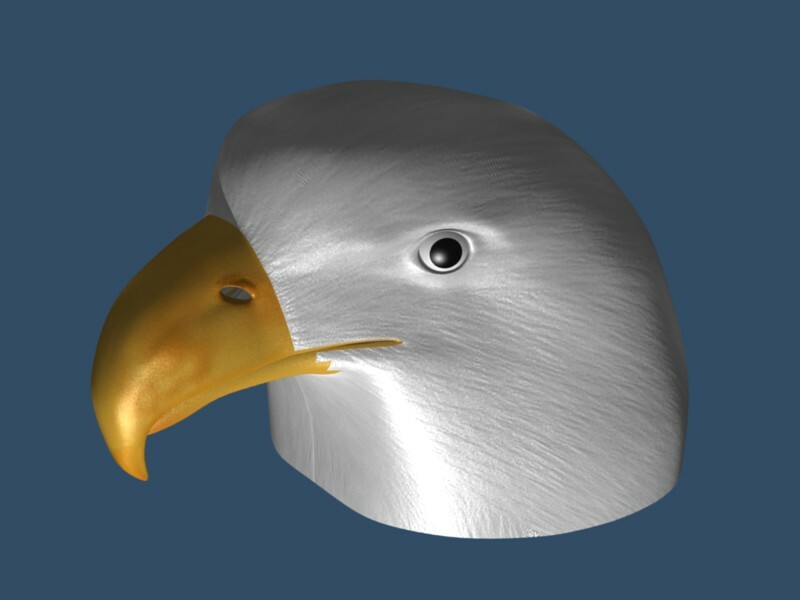 Plus I am going to try to use the particle system for feathers. I figured the a little bumpiness wouldn’t metter. By smooth, you mean the Smooth button in the edit window in edit mode, not the Set Smooth button. Right? Looks good, can we see an updated render? Are you going to UV map it? 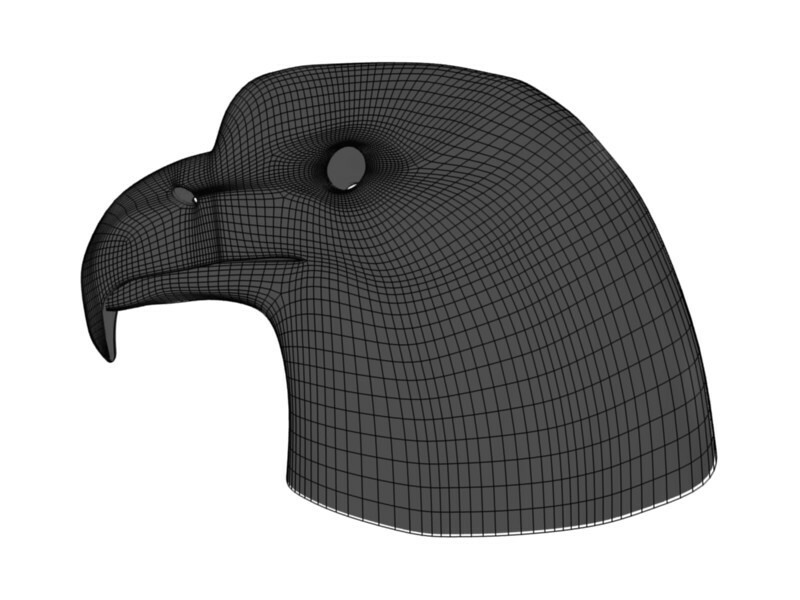 Yes, I am definitely going to try to UV map it. I’m also going to try to use particles for feathers. However, I’m learning and I don’t have a lot of free time. So, don’t expect rapid- fire updates. As soon as I make progress, I will post it. I got some free time and I added some textures to the model. 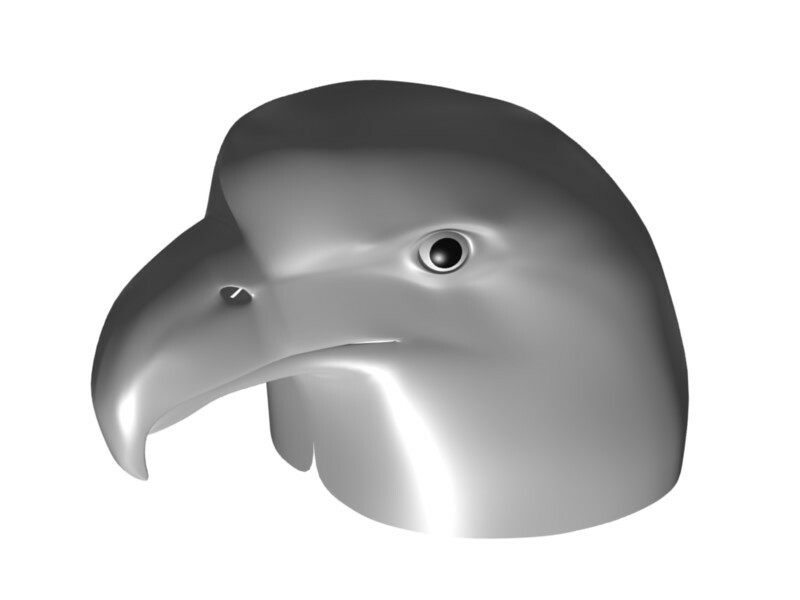 Obviously the interface between the beak and the head needs work. Let me know what you think of the progress.